Over 70% of the Australian population is now online with a vast majority of users searching the internet for all forms of advice, online shopping, trades and services, etc. That means if your business doesn't have a website yet, or if you current website is not all it can be then you are losing business! Websites can provide a new market for your business or simply help to strengthen the image of your existing marketing collateral. Peak Consulting begins website development with your business success in mind. Online marketing is not a shotgun; it is a pipeline. We precisely target your market based upon research and analysis; then your site enters development. This ensures that your site is optimized for your market and structured for conversion before the first word is written. We turn scanners into readers, readers into prospects and prospects into enquirers! The advantage of a Dynamix website is not just a great looking design with a focus on key front end design elements being supported by robust back-end functionality, it's a industry leading product with service to match. Your website is a salesperson working for you 24-hours a day, giving you an investment with a short payback cycle and enormous lifetime value. 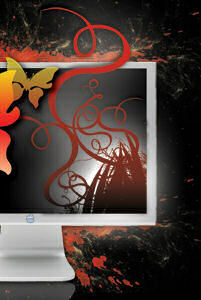 Our website designs range from custom landing pages tailored to your needs (we build each landing page using images relevant to your industry and calls-to-action that appeal to your target audience, while also applying marketing techniques to help increase your sales), throught to business orientated content management systems (CMS) which would allow you to edit the content yourself, eCommerce applications for those wanting online merchant or shopping facilities, multimedia content (flash and video) and Search Engine Optimisation. We design sites for small start-up companies that need a basic web presence though to larger businesses that require complex web applications. The bottom line is—you're in business to make money. You need your website found by qualified customers. Our Web Designs are based around that very fact - making your web presence known. Choose any one of our website design options, or for even better results; combine the full suite of Peak Consulting' solutions including targeted search engine optimization. Ask us to help you make more money from your website. Contact us today for a solution that meets your business AND more importantly your customers business needs.